Originally the ANACAPA 40 built by San Pedro Boat Works. (3 built, 1969). 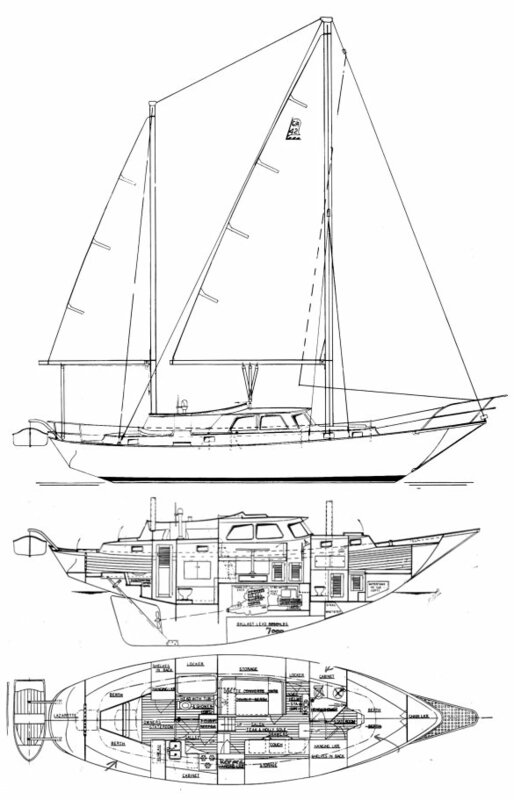 Redesigned by Carpentier, (mainly the deck mold making it an aft cockpit model) it was offered from the same builder as the ACAPULCO 40 of which an unknown number were built. In 1972 the molds were purchased by Challenger Yachts of California. 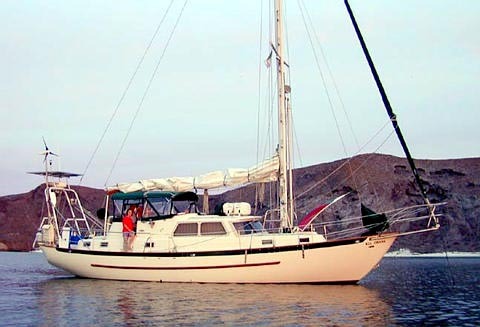 A bowprit was added and the boat was sold as the ANACAPA 42. (12 built?) Challenger Yachts went out of business, and the molds were purchased by Acapulco Yachts. (1976?) The molds for the center cockpit version were scrapped, and the aft cockpit ACAPULCO 40 once again went into production. At least 30 were built but many were sold as kits.